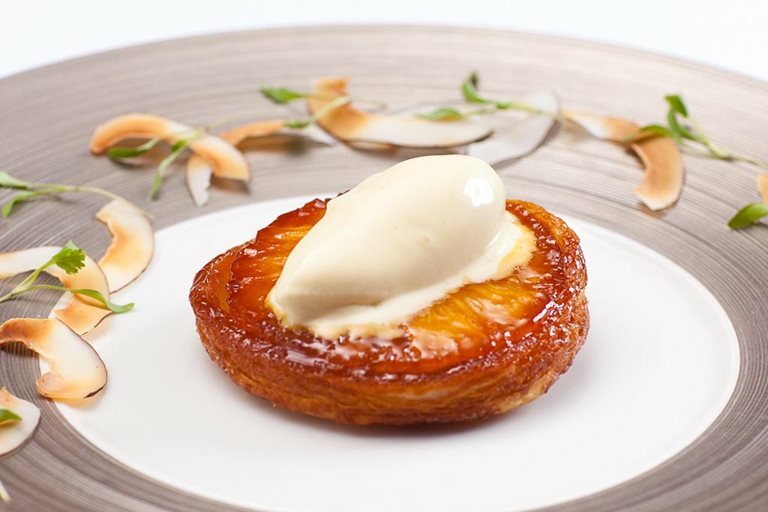 This pineapple tarte Tatin recipe incorporates a tropical twist on the classic French dessert. These simple tartes Tatin from Shaun Rankin are made with bought puff pastry and cooked in the oven, not on the stove. The coconut and lemongrass ice cream makes a fabulous flavour pairing with the tropical pineapple.